One challenge common to sellers is the question of how to collect and store money from buyers. The majority of retail stores use the same basic method of collecting payment from their customers: an electronic cash register. These ubiquitous devices perform the necessary arithmetic and provide a secure place to store checks and cash. However, electronic registers are not the only option and new methods offer fresh alternatives to retailers. Among the major benefits of electronic cash registers is their high degree of accuracy. The internal computer system records each transaction, making it easy for managers to compare sales figures with the money in the drawer at the end of the day and isolate the source of discrepancies. 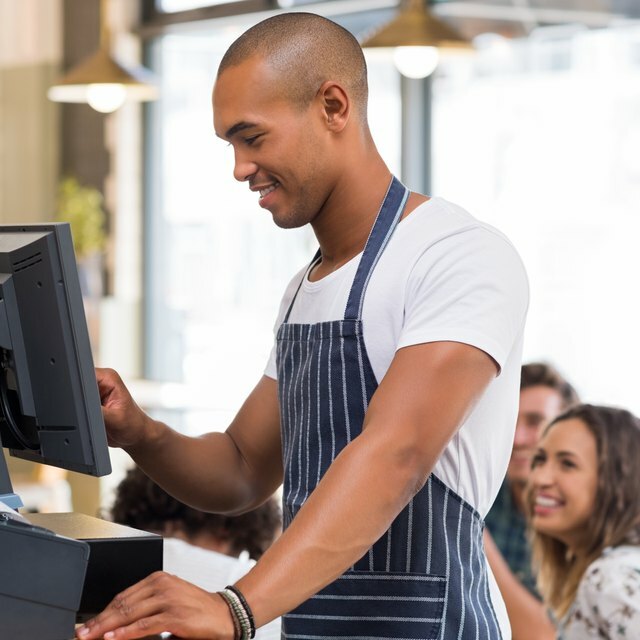 Electronic cash registers also provide an advantage to sales staff who use the system to know exactly how much to charge customers and how much change to return after payment. Electronic registers include features for applying discounts and promotions as well as tools for voiding transactions, all of which help the user provide fast, accurate customer service. Electronic cash registers offer a degree of security for retailers. They are often large enough to prevent easy theft and feature locking mechanisms for cash drawers, as well as password-protected access that only allows authorized users to log in and use a register. Older mechanical registers have no such mechanism with the exception of a key lock for the cash. Electronic registers also process cash transactions locally, which means there's no need to transmit private customer data electronically or over the Internet as there is with web-based payment methods. Though easier to use than manual cash registers, electronic registers represent a more inconvenient option than more modern payment options. A shop can only serve as many customers at the same time as it has registers available. Newer point of sale technologies allow employees to accept payments throughout a store, not just in a checkout area. This technology uses hand-held devices, including smart phones and tablet computers with miniature credit card readers and remote printers to process payments and provide receipts. As a result, customers may find shorter lines to pay for their purchases. How do I Change the Time on a Sharp ER-A320 Cash Register? Retail employees require adequate training prior to taking over register duties, even with the help of an electronic cash register. Those familiar with registers from another store may still require training to become familiar with a new type of register. Smart phone- and web-based payment systems have increased automation and are easy to learn for employees already familiar with the devices. This reduces the time and money a retailer needs to spend training employees to operate registers. It also allows managers to distribute work more efficiently, since there's no need to place one employee in the checkout area if associates throughout the retail space are all capable of processing transactions for customers.